My hubby’s request for dinner: fish and rice. I think we needed something light. We spent the last couple of nights dining out. I love the “French in a Flash” column on Serious Eats. 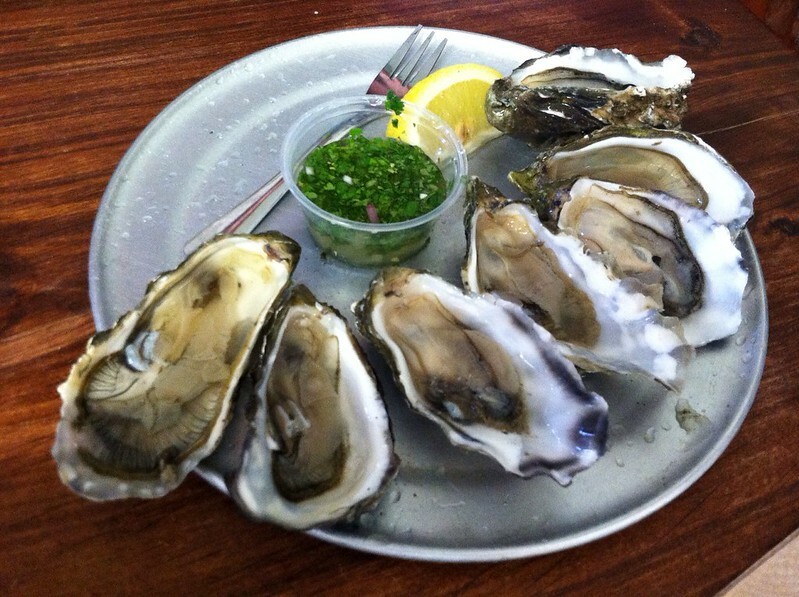 Kerry Saretsky has great ideas for simple, elegant dishes. 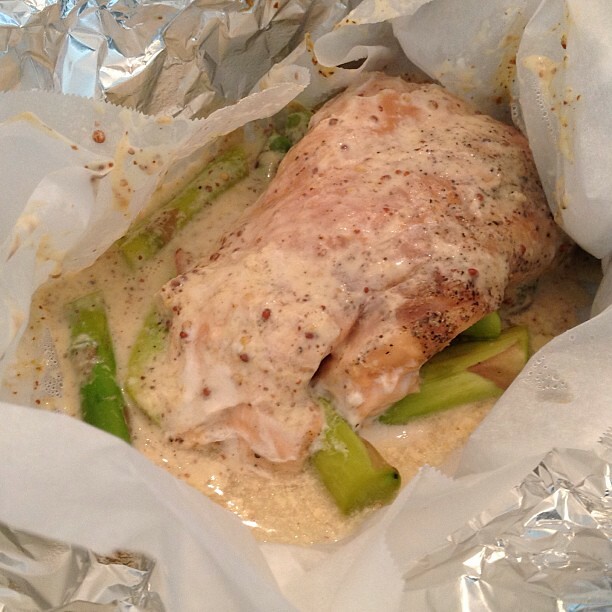 So – I decided to try out her mustard salmon and asparagus recipe. 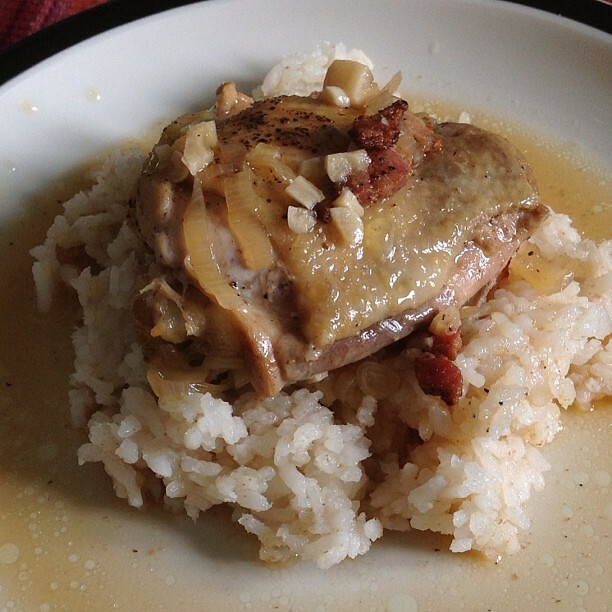 I found my new favorite recipe for adobo thanks to Top Chef winner Paul Qui. I found his recipe in a Food and Wine article about his late-night eating habits. He always makes a yummy dinner for his fiancée, even if he comes home after midnight. I love that he added bacon to his adobo dish. 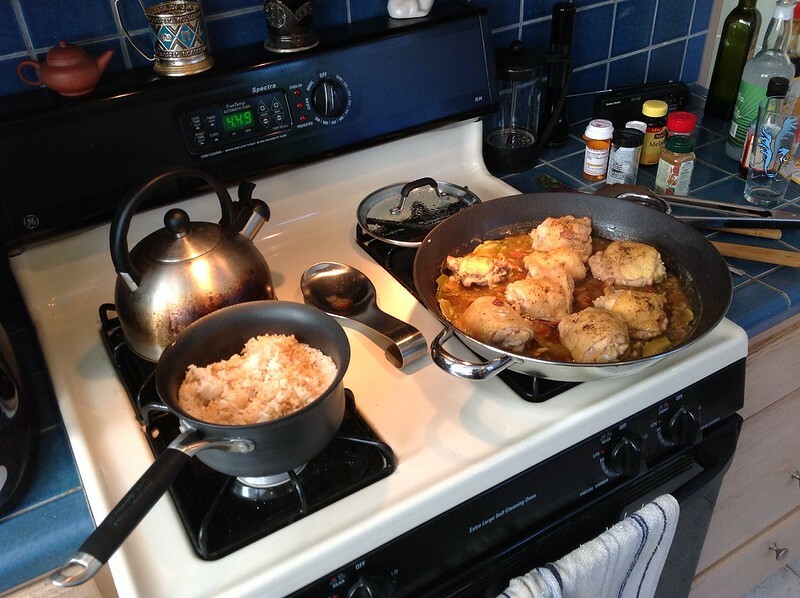 Qui pairs his adobo with ginger rice. The sharp ginger flavor surprised and worried my hubby at the dinner table. After a few more bites, we agreed that the ginger flavors hit all the right notes with the chicken and bacon. Mark also said he missed my family’s version of adobo chicken when the meat falls off the bone. So – I think I need to cook the chicken longer in Qui’s mix of white soy, fish sauce and chicken broth. 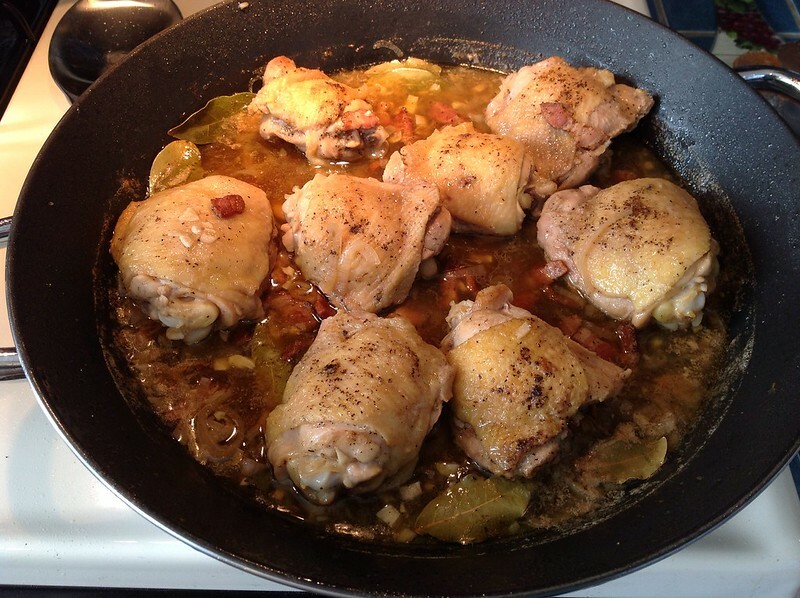 The longer cooking time should make the chicken more tender. Bottom line: a classy upgrade to my family’s comfort food. I started craving homemade macaroni and cheese after watching “Cooking for Real” on the Cooking Channel. Cayenne pepper and dry mustard looked like tasty additions to Sunny Anderson’s Spicy Macaroni and Cheese. 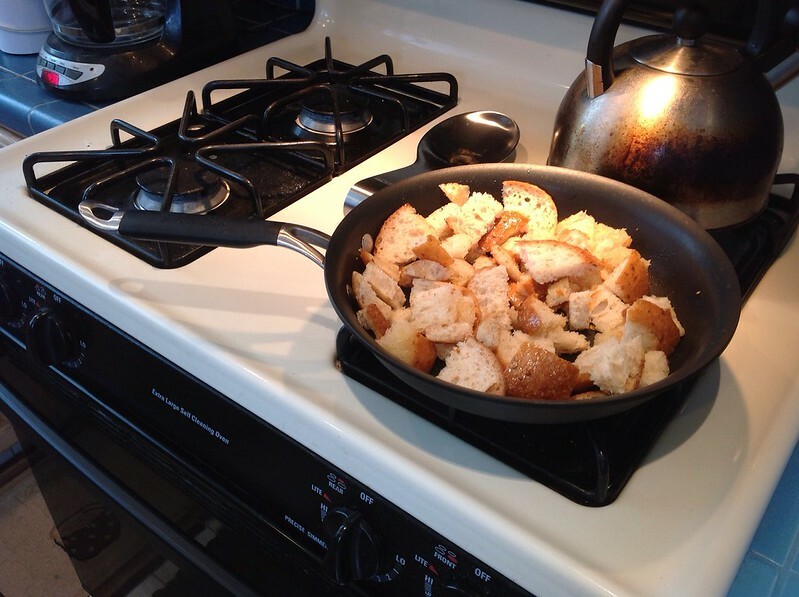 I also liked cutting up bread for a toasty topping of croutons. I added some healthy twists thanks to viewer comments on the recipe. I cut out eight ounces of cheese. I used light sour cream and half-and-half. I also swapped out a cup of elbow macaroni for cauliflower. 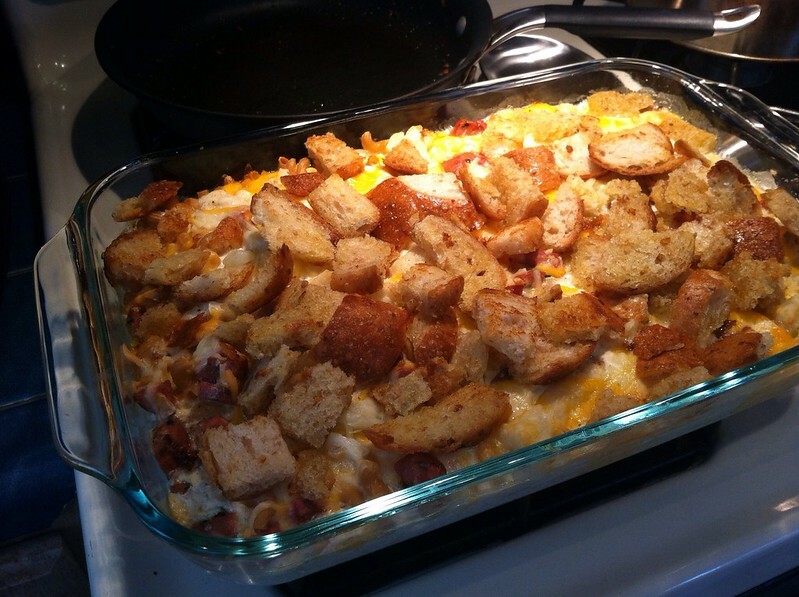 The results: a cheesy dinner with a smoky, spicy kick. My hubby liked it and was pleasantly surprised by the cauliflower. He liked how it soaked up the cheese and cream. He also thought I used too much cheese. So, I’ll probably cut out more, next time. I liked this dish better the next day. I thought the pasta and cauliflower packed more flavor as leftovers. What are your favorite leftovers? From wine country to Santa Cruz. 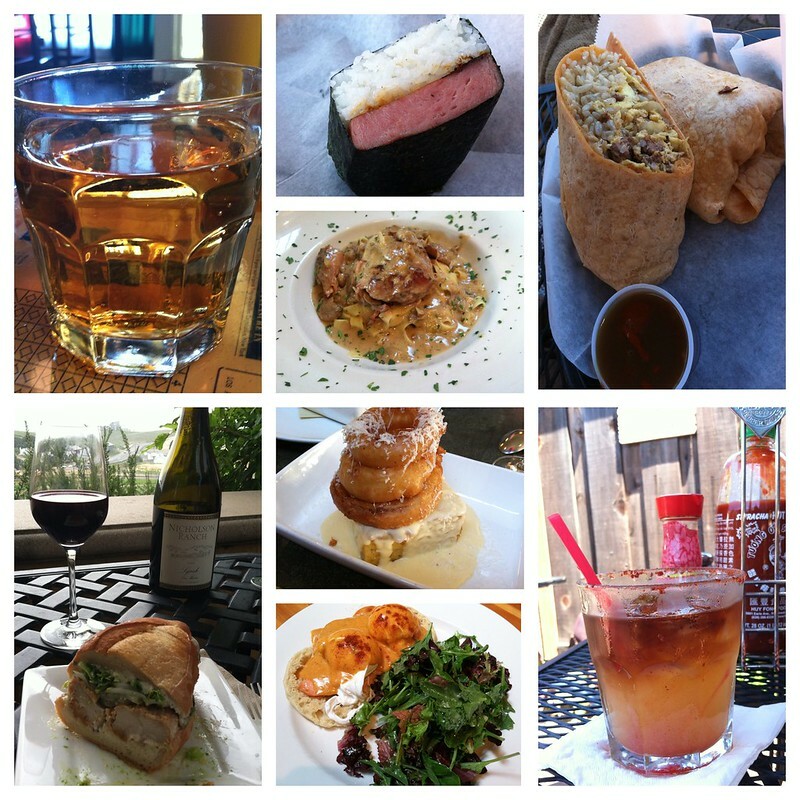 This is my hearty food tour through the Bay Area. Yes, there were leftovers.